For security reasons, it’s recommended that you download all tools and programs from official websites that guarantee virus-free downloads, but what happens when you can’t find the app you’re looking for in the Google app store? Or if a friend sends you a download link? There are alternatives to Google Play that won’t endanger your smartphone; in case you might want to use one of these, we explain here how to install APK-extension apps. There are various reasons you might need to install an app on Android from unknown sources, whether because it’s not available in the Play Store or because you use another alternative—and secure—download site such as Uptodown. To be able to use this type of app, you need to have the installer (APK) and to have authorized your smartphone to allow applications downloaded from unknown sources. To allow the installation of .APK apps on your Android phone you only have to go to Menu > Settings > Security and tick the box that says “Unknown Origins” or “Unknown Sources.” It’s that simple. Once you’ve done this, the following message will appear: “Your phone and personal data are more vulnerable to attack by applications from unknown sources. 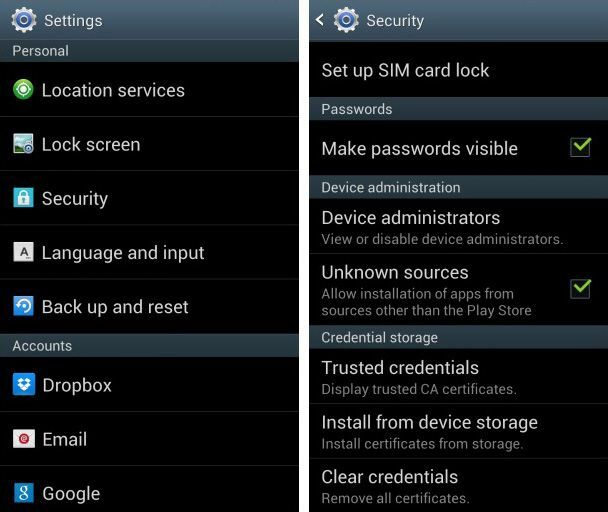 You agree that you are solely responsible for any damage to your phone or loss of data that may result from using these applications.” You only have to accept the conditions and be cautious about the origin of the apps you download. It’s advisable to always review the permissions of everything you install on your smartphone and make sure you don’t give suspicious apps permission to access your passwords, contacts, or private messages, or consent for the apps to send SMS messages. Once you’ve downloaded the app that you want on your Android device, you can install it manually from the .APK-extension file that you’ll find in your browser’s web history (in the “Downloads” folder), via a file manager of the likes of ES File Explorer or directly on the phone’s notifications bar. Once you’ve found the file, you just have to click on it and it will run automatically. Most devices come preconfigured to only allow applications downloaded on Google Play; in fact, Google Play Services is installed and automatically updates on your Android in order to give you maximum security in verifying all the apps you install. This is why the warning message appears. But by “understanding that the app could be dangerous” and assuming responsibility for that fact, you can install it with no problems. 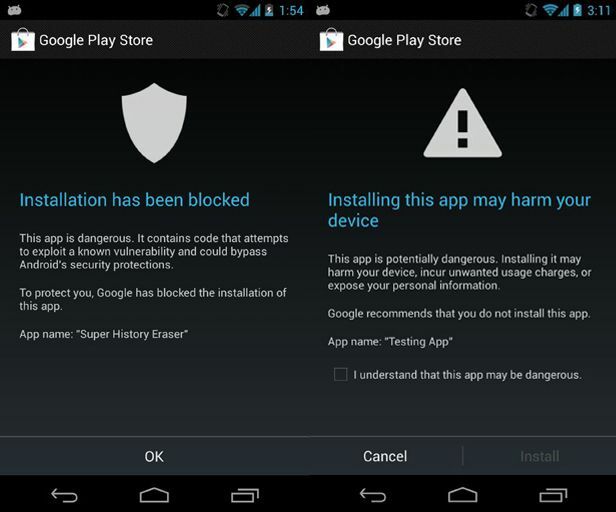 If you want to change this configuration so that Google does not pop up with this warning whenever you install an APK, you have to go to Google Settings > Verify Apps and untick the box. Once you’ve completed this process, you’ll be able to install any app on your Android phone even if it’s not available in the official Google store. email and also social media sites. enable you to lose weight within a few weeks. routine that you willl will need to adhere to. forbrukslån enn det er på kredittkortgjeld. minimum 2,5 prosent av innvilget lån. du lett kunne tjene penger. noe som også har gitt binære opsjoner navnet «all or nothing options». The regular Computer game, nonetheless, is abouyt to overtake consoles, projected too obtain $29-billion international income in 2016, versus $28-billion for consoles. a rewarding and ingenuous experience with a locksmith. basis of market moving when newss and data reports are released. I want to install Vidmate on my android. Hello there, many of us face problems with Google play. Many a time there are problems with authentication of the email id. So access to the play store is denied. In that case using these APK files of the apps to install the app in your android device is very much helpful. Thanks for sharing the procedure with us. Regards! this website on a regular basis, if so after that you will without doubt obtain good know-how.